San Juan Capistrano, CA has some of the most desirable horse properties not only in Orange County, but Southern California. With vast landscape and beautiful climate, San Juan Capistrano is known for having some most prestigious one and many amenities around them, like trails and facilities, with the comfort of being ocean close, making the task of finding the most desirable San Juan Capistrano Horse Properties a really delightful one. This page show casts all horse properties available for sale in the city of San Juan Capistrano - as well as the details of such properties. Search all of the San Juan Capistrano Horse Properties Homes currently listed for sale in the MLS, including those listed as short sales, foreclosures and bank owned. For more information about any of these homes, or if you would like a showing, please contact us via email, or by phone at (949) 888-6788. Read more about San Juan Capistrano Equestrian Homes. Many of the Equestrian Homes are located in distinguished neighborhoods in San Juan Capistrano like the famous Hunt Club neighborhood, but also these can be found in areas in North San Juan Capistrano and along the Ortega Highway. 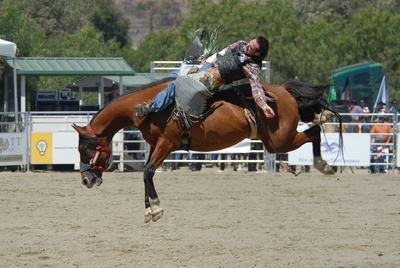 San Juan Capistrano is home to the Rancho Mission Viejo Riding Park at San Juan Capistrano, which is a 40-acre facility is the ideal showcase for horse sports. Events here are anywhere from Olympic caliber show jumping to rodeos. Another famous facility is the Events range from Olympic caliber show jumping to rodeos. Another famous facility is the Ivy Gate Farm - a premium hunter/jumper boarding and training facility, known as"The Best Kept Secret in Orange County". Others include the Ortega Equestrian Center, Bridges Equestrian, Chelsfield Riding Stable, Sycamore Trails Stables,J F Shea Therapeutic Riding Center and the Rancho Sierra Vista Equestrian.